Good suspension, water system and fuel system design are the basis of any good competition car. 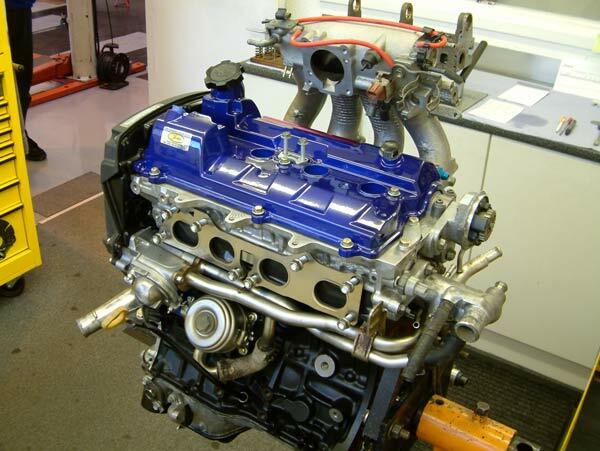 These with engine and drive-train installation, fabrication and set-up are skills were learnt by Jon Edwards through 11 years of competing (Vecta Ford Championship) and his time building TVR’s race cars and their engines from scratch. Years of experience have been gained from listening to driver feedback and translating this into race winning cars. Jon has also worked with Australian touring cars and European GT cars with their focus on endurance as well as speed. A race car with a very low centre of gravity and geometry setup for coping with bigs levels of grip requires bespoke parts. Crossmembers, track control arms, steering arms, compression struts, link boxes, turret boxes, anti-roll bars etc. are all built from scratch for the car it is going on. The difference can be felt in a cars poise, neutral handling, grip and a feeling of safety. Everything from a 1300 Crossflow up to big horsepower turbo units. Although the basic principles can be applied to any engine build, JEMS prefer to find out exactly what their customer requires and plan the right package for their needs. Flow benches are used to test and refine the flow through the cyclinderhead - better flow equates to more power. Dynos are used to measure the power output and get the package right, everything is built with meticulous attention to detail. Building engines is not just about power and JEMS engines are built to suit the engine characteristics to the driver’s needs and driving style. This includes looking at the car as a whole.